This is second in this embroidered tote bag series. 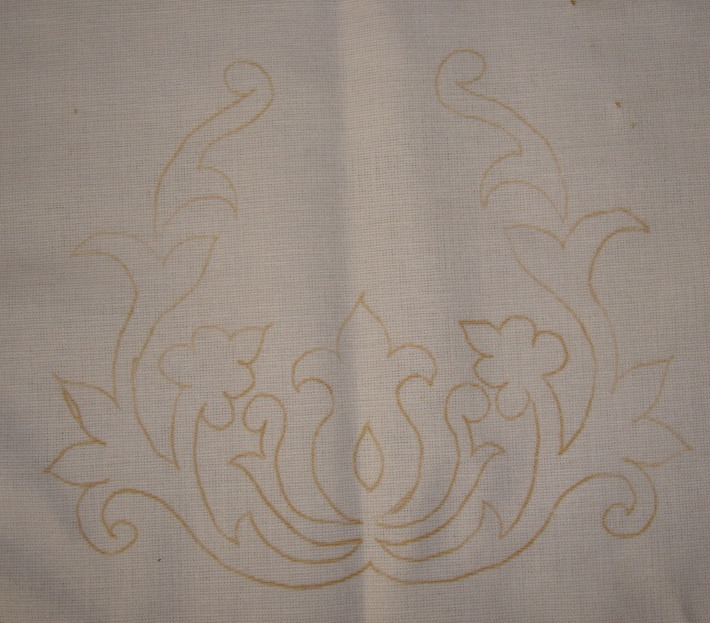 Similar design to the first one. 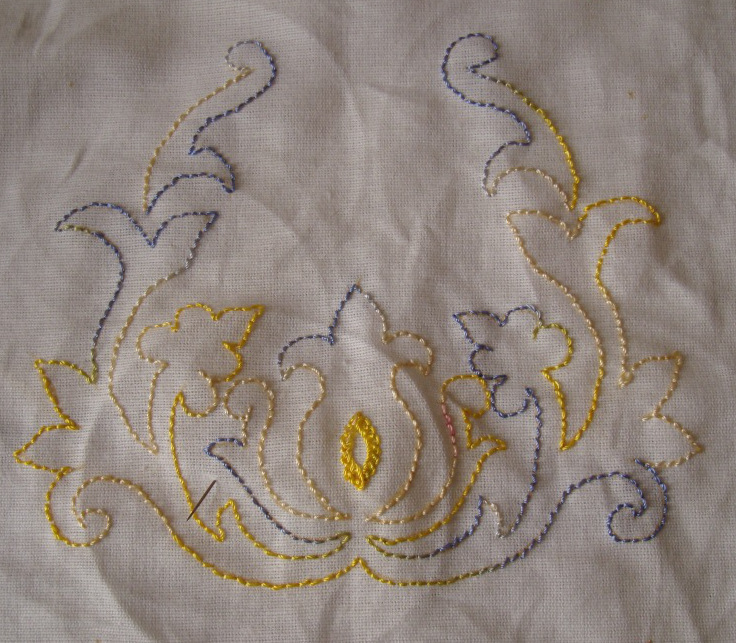 I enjoy the pattern growing with embroidery The tracing with yellow carbon. 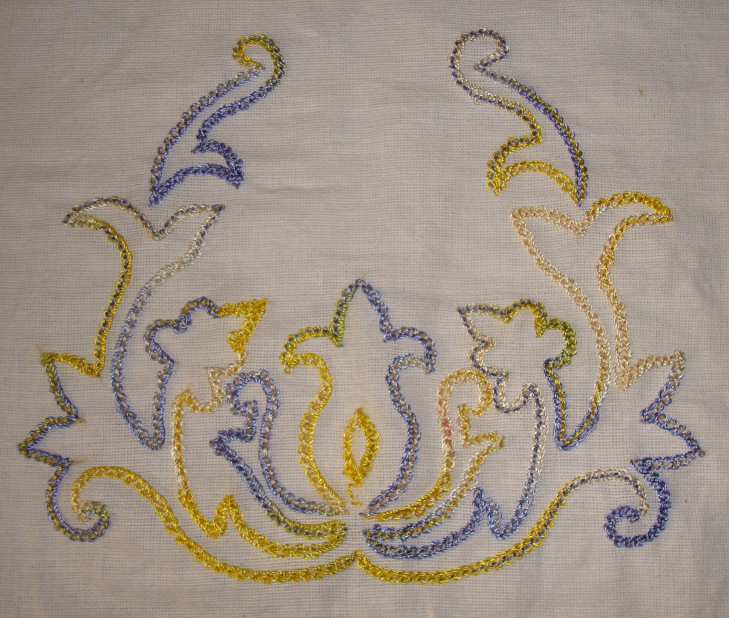 I worked Pekinese stitch on this pattern with variegated polyester thread [cone thread as it is called in India]. 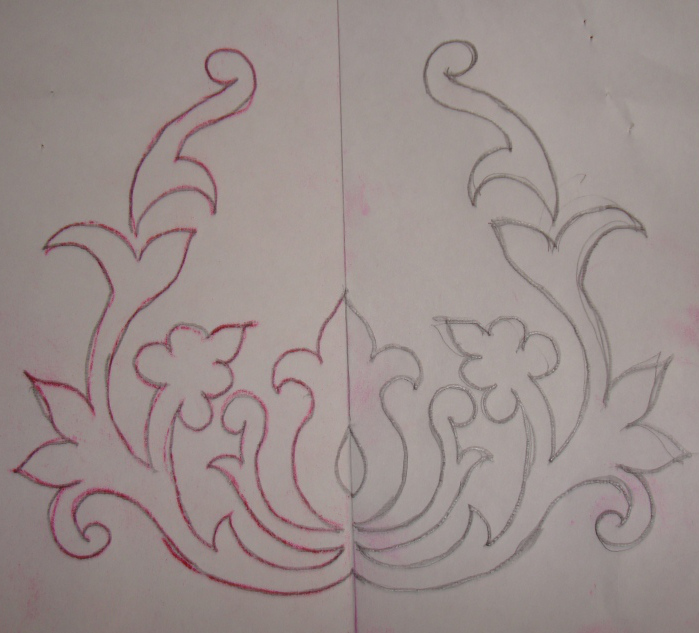 The back stitched pattern before working the Pekinese stitch. Embroidery completed on this bag. This thread did not look very interesting when I started this piece. but the places where yellow dominated, it glowed. These bags are made with the idea of storing small personal items.